In the wake of the awful images coming out of Charlottesville and the tragic death of Heather Heyer, there has been much hand-wringing over the decision to give neo-Nazis, Klan members, and other white supremacists the right to assemble. There is also a push to deny white supremacists access to digital platforms to prevent them from assembling and speaking out online. It is possible to mourn the death of Ms. Heyer and be repulsed by the views expressed by the alt-right, and still support the rights of white supremacists to speech and assembly. The First Amendment does not allow for viewpoint discrimination, the allocation of rights based on attitudes. I am also under no illusions that, should they somehow ever be in charge, the alt-right would be keen to grant the rights that they now enjoy to others. However, there is no litmus test to enjoying the protections of the First Amendment. Those who seek to stomp out the alt-right by denying them rights will find that there are unintended consequences to their actions. It could, for example, give bargaining power to those who try to suppress Black Lives Matter marches because they oppose the activists’ views, or because some BLM protesters display weapons, albeit in states where it’s allowed. It’s almost a rule of democratic physics that restrictions on rights eventually will hurt the least powerful in society. I hold these positions, in part, because I am president and CEO of the Newseum and I believe in upholding the 45 words of the First Amendment, which are carved in a towering piece of marble on the front of our museum. I believe in the rights of speech and assembly for all — even though, as a Jew, it is appalling to witness such blatant displays of anti-Semitism. The problem is not that white supremacists were allowed to gather in Charlottesville’s Emancipation Park. That is only a symptom of the real trouble: In America there exists a group of people, however small, who want to rid our society of anyone who does not conform to their notions of racial purity. Denying these people the right to assemble or to appear online may make some feel as though our world is a better place, because we can’t see or hear them. But make no mistake. That will not make them go away. We cannot afford to be lulled into complacency just because we have prevented those whom we hate from appearing on our screens. So yes, let the Nazis and the Klan and the alt-right march under the same protections as all citizens (and prosecute them if they break laws). Their visible presence should serve as a constant and all-consuming reminder of the extraordinary work we have to do to fix our society. 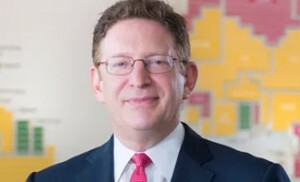 Jeffrey Herbst is president and CEO of the Newseum. This entry was posted in News and tagged assembly, First Amendment, free speech, hate speech, Jeffrey Herbst by Freedom Forum Institute. Bookmark the permalink. Of course, that is what freedom is about. I’m afraid that some of the less understanding among us will have to realize that the first amendment might allow the triggering of some utterances they cannot bear. Perhaps they should not leave the safety of their campus’ where the first amendments is not honored. You wrote more eloquently than I would have the exact thoughts I share with you on these First Amendment Rights. I hope the Newseum might consider an exhibit that deals with these issues. The Supreme court case involving the proposed Nazi rally in Skokie Illinois would provide much material. Yes. And when they do march, those of us who oppose them should consider showing up in peaceful witness to the worth and dignity of all people. I’m not against them speaking out but I am against them coming fully armed with guns and enough ammunition for the apocalypse! Constitutionally we have a right to speak out but when they intimidate those who would protest with their “fire power”, that is different! I have protested and marched for different causes over the years but never once did I consider carrying a weapon! Excellent and well articulated response. Thank you for your excellent letter. I agree it is difficult to let those who preach what you so vehemently are against stand up and voice their view. However, this is what our country was founded upon and this principle should always remain. The best response is to not give them visibility and coverage. Let them march while the media and others ignore. Silence sometimes is the best response. Well done and well said, Jeffrey . Thank you for speaking out so clearly on this very difficult issue. Well said, Jeffrey. I think it is so shocking to us now because they have been hiding for many years. Now we are reminded to remember, that they, like communists always have only ONE goal—to change our way of governing our great country. Congratulations on a well reasoned statement which should be understood by all who hold democracy dear.